ANGLER has brought out its unique Virtual Offshore Development Centre (VODC) model as part our vision to provide world-class, on-demand products and services. This model showcase ANGLER’s capacity and capability to deliver reliable, high-quality solutions and the reasons why ANGLER must definitely be Your Preferred Outsourcing Partner. Our unique Offshore Outsourcing model helps you to outsource all components essential for an ideal offshore development you do not need to worry on investments in infrastructure, building, recruitment and maintenance. We provide you a virtual 24 hour office to man your operations, maintain it and help you focus on core competency areas. 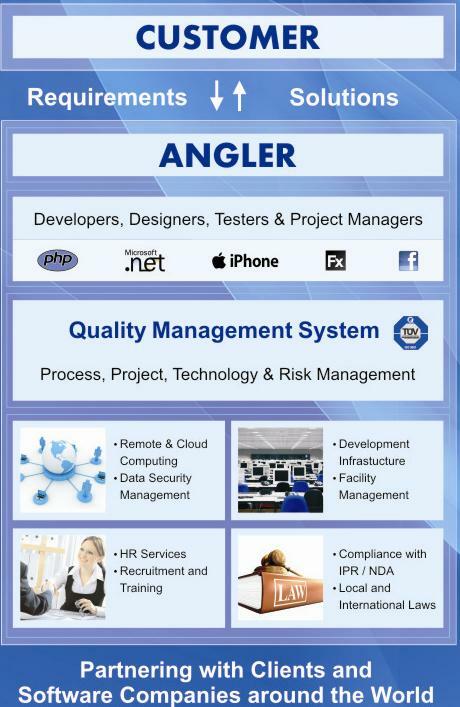 With a successful track record of 10+ years, a dedicated team of 175+ professionals, 1000+ successful projects and 14+ global locations with local account management support, ANGLER aims to be your long-term offshore partner for both your Custom Software Development Outsourcing and Outsourced Product Development (OPD) providing programmers and developers via our Virtual Offshore Development Centre (VODC) services. We offer high-end solutions to provide financial return, risk mitigation, strategic alignment, time-to-market impact and value creation. 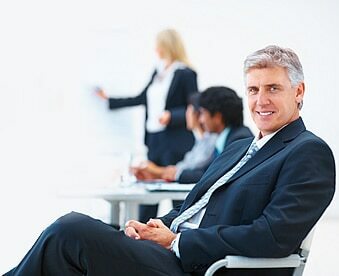 Developed and deployed using proven methodologies for web and software development, backed by project management, clear and comprehensive documentation, and unique FSP model – Offshore Development Centre Model, ANGLER Offshore Outsourcing models have allowed our offshore partners to prioritize their business better. How Does VODC Help You? Technology, Talent and Team, this integrated offshore offering differentiates us from any typical “Body Shop” IT company. We are based in Coimbatore, South India, a city known for its entrepreneurship, salubrious climate, good air connectivity and large talent pool of English speaking IT professionals. Our business culture is driven by a strong value-system of integrity and excellence with a focus on long-term relationships. We have dedicated teams that cater to your product or project development needs in your time zones, providing a virtual 24 hour office to our overseas clients. Outsourcing to ANGLER helps you to focus on core areas, increases the development turnaround and time-to-market. This has never been a cliché with us and never will be. It is integral to our work ethos and work approach. ANGLER’s unique Outsourced Product Development (OPD) service HeadStart coupled with offshore model Virtual Offshore Development Centre (VODC) relies on strong process methodology strengths that encompass all areas of software engineering. We adopt a holistic project development methodology with emphasis on sound project management from initiation, planning, design, development, testing and release. Our dedicated teams meet, share and brainstorm on technical innovation, knowledge sharing and risk analysis and mitigation. Young. Creative. Disciplined. People with right focus, approach and culture. A culture built on trust and commitment – people who really make a difference to you in innumerable ways. Our people identify with the real-time needs and deliver to match your expectations. Experience of working in different platforms, to different cultures and communities have brought in the requisite soft skills to handle communication with ease and relate to your requirements. A young company with sound financial strength, people, technology, experience and more importantly with the promise of the future. Starting in rented premises, ANGLER has today grown as a global company with wholly-owned subsidiary operations in New York, London and Dubai besides a wide domestic presence in India. We have established a strong brand reflecting our value system, process-approach, best practices, ability to scale and timely project execution. We derive our inspiration from the dedicated efforts of our team, vision & guidance of top management and client support we continue to enjoy worldwide. We always think long-term and our real-time working knowledge in different verticals, on different domains, in different geographies will be a key differentiator for your success in Today’s Flat World. Have your own dedicated offshore teams to complement your on-site technical team, build an alternate delivery centre, outsource coding & testing modules, augment niche technology skill sets and enjoy significant cost advantage. We can be your trusted Indian Offshore Partner.